Be a PLUS! Rewards member now through purchase of any item at Abenson.com. Just provide your mobile number upon checkout and start earning points TODAY! For other inquiries, you may contact our customer care at 0917-1117587 and 981-0025 from 9:00AM to 6:00PM, Monday to Saturday. For existing PLUS! 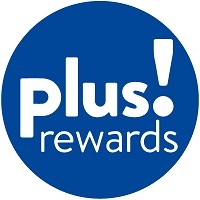 Rewards members, just key in your PLUS! Reward card number upon check out.